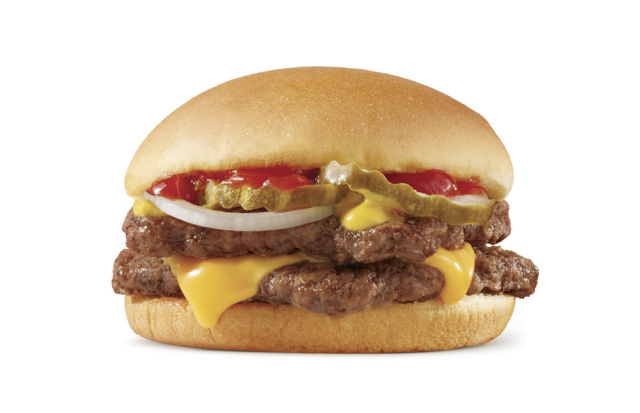 In a throwback deal to when the big burger chains were offering double cheeseburgers for a buck, Wendy's has discounted the Double Stack to $1 for a limited time at participating locations. The Double Stack features two grilled beef patties (good for over a quarter of a pound of beef before cooking), a slice of American cheese, crinkle-cut dill pickles, white onions, ketchup, and mustard on a toasted bun. The Double Stack normally goes for $2.99 in my area (my vary). Update 3/14/18 - The deal ends this Sunday, March 18, 2018.